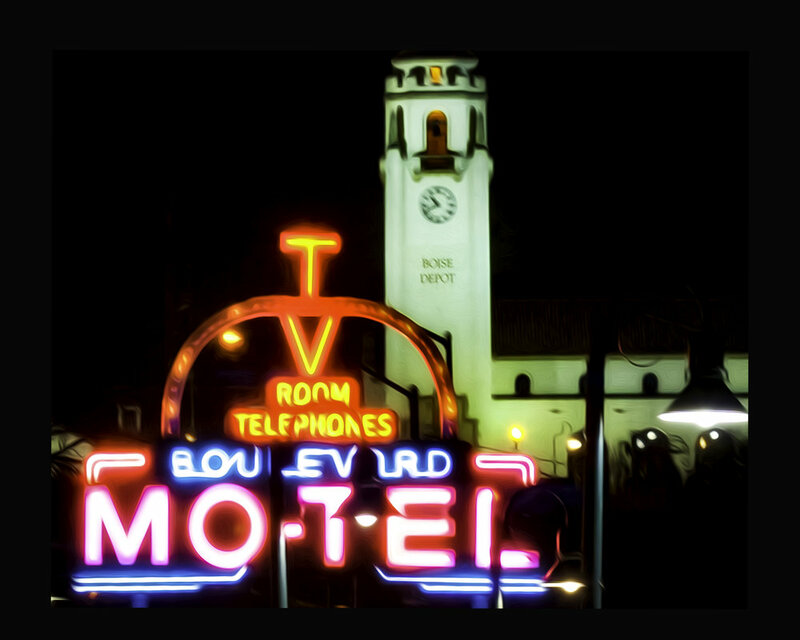 The Historic Boulevard Motel. Look south from 9th Street, Boise ID. Big city view from a few years ago. The colors dazzle with reds and yellows.